All BAKS+ teachers are native German speakers, and have an extensive background and on-the-job experience working with children of various age groups in a language instruction environment. BAKS+ is currently looking for energetic and enthusiastic teachers to join our team for the 2019–2020 school year. Please contact our directors, Heike Feltes and Sylvia Klein, at baksplus@kinderstube.org. Heike Feltes joined the BAKS+ teaching staff in 2008 and has been co-director since 2009. She holds a Diploma in Social Work from Cologne, Germany, as well as a California teaching credential and a masters degree in teaching from John F. Kennedy University. Heike was the head teacher at Bay Area Kinderstube from 1998 to 1999. She also taught at the German School of the East Bay in Oakland for six years, everything from kindergarten to adults. Heike also organizes and directs the BAKS+ summer camp. Her three children attend BAKS+. Sylvia Klein joined the BAKS+ teaching staff in 2008 and has been co-director since 2009. She holds a teaching credential for elementary and middle school from Germany. Sylvia has six years of teaching experience in Germany. Since 1999 she has been teaching at various programs in the USA. She taught German at the German School of Connecticut for eight years and at the German School of the East Bay in Oakland for six years. She also taught children groups in Walnut Creek and one-on-one classes for the Goethe Institute from 2009 to 2012. Sylvia is also part of the BAHS+ summer camp team. Gabriela joined the BAKS+ teaching staff in September 2009. She has a degree in librarianship and got her teaching diploma from the Rudolf Steiner College in Fair Oaks, California, in 2004. Her focus during the Waldorf Teacher Training was on kindergarten and foreign languages. Gabriela has taught all ages, from kindergarten to high school to adults, in various programs in the Bay Area. She is also a teacher at Kinderstube, and works as a private tutor for children and adults at all levels. Linda Oduncu joined the BAKS+ teaching staff in September 2014. She studied to be an English and history teacher for secondary schools at the University of Augsburg, Germany. Linda worked at a private tutoring school in Augsburg for more than six years, where she taught and supervised first through tenth graders. Since 2007, Linda has been teaching kindergartners and mostly first through third graders at the German School of the East Bay in Oakland. Linda moved to the US in 2006 and lives with her husband in Clyde, CA. Barbara Steinbauer taught at BAKS+ from 2004 to 2008, and re-joined the BAKS+ teaching staff in September 2015, after moving back to the Bay Area from Berlin. Barbara holds a master's degree in German as a Foreign and Second Language and a teaching credential for elementary school in Germany. For the last 20+ years, she has taught all ages and levels of German and also worked as a social worker in Berlin. Barbara also teaches classes at the Goethe Institute in San Francisco. Monika Hartmann joined the BAKS+ teaching staff in September 2016. She was born in Germany, where she played basketball and earned a teaching credential for elementary school. During her teacher training, she taught all levels of German, and also coached a basketball team of third and fourth graders. After moving to California, she taught German at an adult school in Concord and earned her master’s degree in integral psychology from John F. Kennedy University. Before joining BAKS+, Monika taught various English classes for 20 years at a business college. Salma Nabkel joined the BAKS+ teaching staff in September 2016. She received her bachelor´s and master´s degree from the University of Münster in Germany, where she studied to be a German and Educational Science teacher for secondary schools. She worked with children aged six through nine at a primary school and taught German and Educational Science to fifth through eleventh graders at a secondary school in Germany. At the secondary school, she also tutored students in German on different levels and supervised children in their afternoon program. Carolyn Hawkshaw joined the BAKS+ staff in 2016. She is a doctoral candidate in the German Department at UC Berkeley, where she studies Germanic Linguistics and is finishing up a dissertation on the development of noun inflection in German. Before she came to Berkeley in 2006, she studied German and Scandinavian Philology for 2 years at the Albert-Ludwigs-Universität in Freiburg, Germany. She has taught German extensively at the university level and has also worked with children of various ages, both privately and at the German School of Fremont, where she taught a fourth-grade class from 2014 to 2016. Ute Dawe joined the teaching staff at BAKS+ in 2018. She has a background in Early Childhood Education as well as a Special Education degree from the University of Hamburg. She has collaborated with BAKS+ since she became the director at the Bay Area Kinderstube preschool in 2012. She spent two years in Switzerland and is now excited to be back in the BAKS community as Director of Operations at Kinderstube and as a teacher at BAKS+. Nahid Hassan joined the BAKS+ team in November of 2017. She has a Bachelor’s degree in Liberal Studies, with a focus in multiple subject elementary teaching. Her love for teaching took root during her high school years in Germany while completing an internship with kindergarten teachers and their students. She tutored students privately in the German language after she moved to the US in 2004, and she also teaches at the German School of the East Bay. She looks forward to sharing her passion for teaching and learning with all of her students and watching them grow socially and academically. 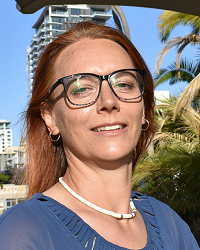 Helga Recker joined the BAKS+ teaching staff in September 2018. She was born in Germany and moved to Calgary, Canada, with her young family more than 20 years ago. After moving to Colorado, she started teaching German and English online. Helga has been head teacher and DSD/AP teacher at San Ramon Valley School since 2013. She specializes in the AP and Deutsche Sprachdiplom and has the Prüferzertifikat DSD1, which permits her chairmanship on the oral test of the DSD1 exam. She received a certificate from the University of Arizona in teaching languages to foreign speakers. She is excited to join the team and teach and learn with her students. Silke Maurer was born in Germany and grew up in Wiesbaden, Hessen. In Mainz, she earned a degree in Graphic-Design/Visual Communication. She worked in publishing and advertising in various fields while her family moved from Hessen through three different German states, then relocated to Berkeley in 2010. 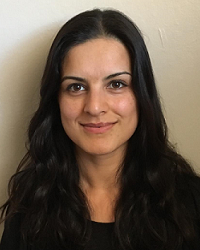 She has taught at the German School of the East Bay since January 2017, and has improved her teaching skills through training classes at the Goethe Institute. She strongly believes that any learning is easier if kids have fun, and therefore she strives to create an enjoyable atmosphere, with fun activities and laughter in the classroom. BAKS+ is currently looking for energetic and enthusiastic substitute teachers to join our team. Please contact our directors, Heike Feltes and Sylvia Klein, at baksplus@kinderstube.org.